Need a meal that you can just throw together and cook fairly quickly? 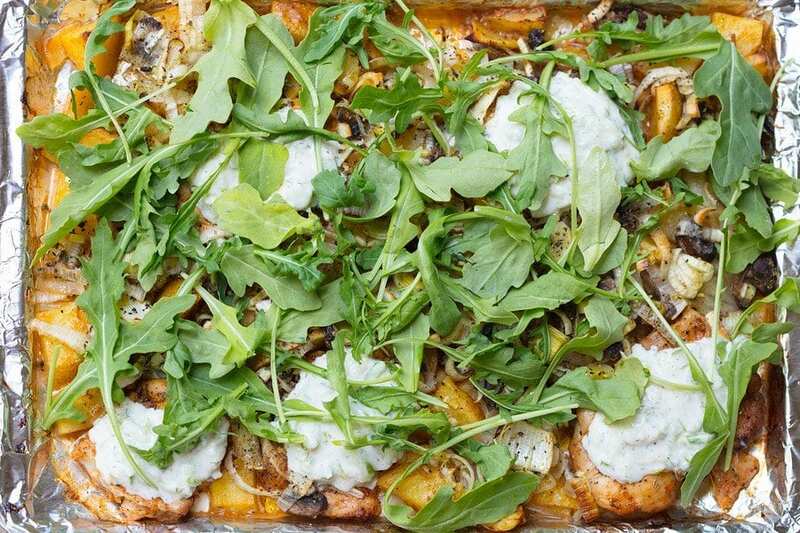 These 15 sheet pan recipes might be just what you’re looking for. Look no further than the sheet pan. The possibilities for sheet pan meals are endless and include, but aren’t limited to, pork chops, chicken, pizza, and pie. Yes, pie. 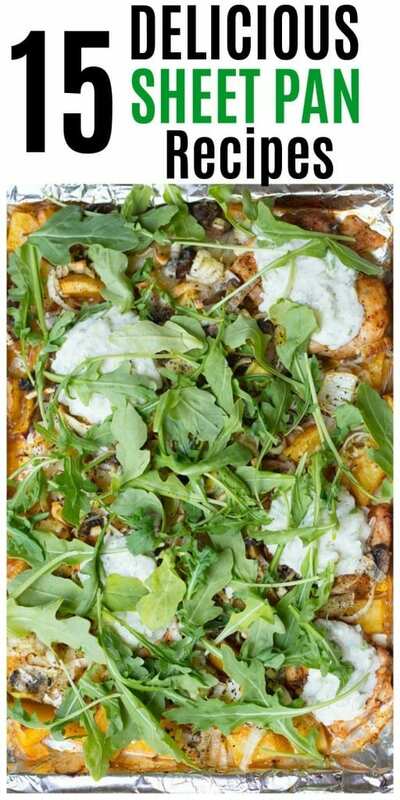 You’d be surprised at how many delicious and easy meals you can throw on just one dish, but in case you’re not convinced, here are 15 delicious sheet pan recipes. Perfect choice for the kids on a Friday night. Delicious, easy, and sure to be a favorite. Use pre-made dough so this recipe can be prepared much faster. Say hello to your breakfast for the next week. This super easy breakfast dish will last you through quite a few breakfasts and only takes 10 minutes to prep. Is there a single person on Earth that doesn’t like chicken and potatoes? This dish is easy and delicious, perfect for a quick dinner. Is it fajita night in your house? Make it even easier with these sheet pan fajitas. Add your chicken and whatever vegetables you want and you’re good to go. Pork chops have literally never been easier. You can either use regular or baby potatoes, whichever one you feel like. Either way, this is one delicious dinner. Is it an appetizer type of night? Try this sausage and apple sheet pan dinner. Add fingerling potatoes, baby carrots, olive oil, and honey and you won’t want to eat anything else ever again. Up for trying something new? Try this raspberry pineapple pork chop recipe. Yes, I said raspberry and pineapple. Looks fancy, but only takes 10 minutes to prep. This amazing cod and veggies dish takes only 30 minutes to prep and cook, AND it’s Paleo, Whole30, and gluten-free. This buffalo chicken pizza is perfect Sunday-afternoon-football food and can be prepped and cooked in 40 minutes. Turkey + honey mustard + curry? Magical. These delicious pepperoni calzones are sprinkled with cheese and Italian herbs and take only 30 minutes to prep and cook. Need a healthy and quick dinner for your guests? Try this salmon with tomatoes and artichokes. They’ll love it, you have virtually nothing to clean up. Everyone wins. This recipe takes a little longer to make, but it’s well worth it. Perfect for a cold winter’s night, or id you have vegetarians in your house. Need a quick meal for the kids? Mac and cheese doesn’t fail. Ever. This extra crunchy version only takes 40 minutes to prep and cook. Cooking for different tastes has never been easier. Cook not one or two, but FOUR different pies on one sheet with this recipe. Everyone gets their flavor! the roasted vegetables have already been added to my meal plan for this week! Thanks for all of these handy links!! I’m crazy about sheet pan dinners these days. So easy! Mmmm…this delicious post is making me hungry! I love that you’ve provided so many ideas for weekly meal planning all in one spot. That these yummy recipes can be put together quickly is a huge bonus! Thanks so much for sharing your fabulous recipe collection. Oh yum, sooooo good. I need more easy sheetpan recipes. That looks delicious! I am definitely going to add this to my bookmarks! Thank you for this! We have a couple sheet pan meals we love but I’ve been wanting something new. Pinning this for later! some great ideas here! Thanks for the inspo, will check them out!